The main goals of the project were to bring peace to Burundi and unify its people. Through the programme, more than 100,000 inhabitants of five provinces have benefitted from education programmes. In addition to these original aims of restoring peace to Burundi and the reintegration of historically conflicted peoples, the land has also been regenerated and there are now increased opportunities for generations to come. A legacy of Hutu and Tutsi peoples working together to create their own income and enhance their diet. One of the poorest African nations, Burundi has struggled to recover from generations of conflict between the Hutu and Tutsi peoples, the widespread Aids epidemic, and the decline of the country’s resources. Growth and development are further hampered by natural disasters which threaten its recovery. Poor land management has damaged the agricultural prospects for most of the population who still rely upon the land as their main form of sustenance and income. In addition to this many of the world’s endangered species, native to Burundi, are also under threat. In 1996 re-education programmes in sustainable farming methods and small community projects started in Burundi. Reclaiming previously barren land to plant trees was our partner’s first step in creating the opportunities required to enable Burundians to provide sustainable food sources for themselves. Choosing multi-functioning trees to plant has enabled the communities to ensure the land is effectively managed. 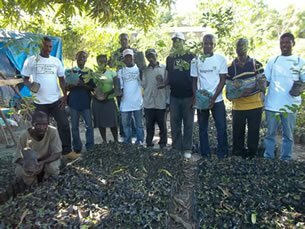 Providing livestock with feed, the land with manure to fertilise future crops, fast growing trees for fuel, and perhaps most importantly the planting of Moringa Oleifera, also known as “the miracle tree” for food have greatly improved the situation in Burundi. In Burundi, where over half of all children under five suffer from malnutrition this tree has become vitally important. Moringa Oleifera yields a crop of edible vegetation which contains beneficial nutritional content such as high levels of vitamin A and calcium. It assists in combating blindness and many other terrible conditions and diseases linked to malnutrition. 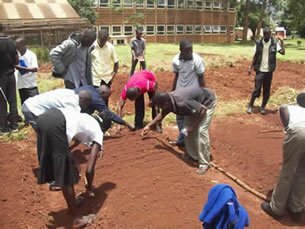 The core aims of the project met through the planting of trees in Burundi, finally began to be realised in 2008 with the planting of over 250,000 trees in the four provinces of Bururi, Gitega, Citoke, and Ruyigi. 2011 saw nine community nurseries established in the provinces of Ruyigi, Makamba and Kirundo. 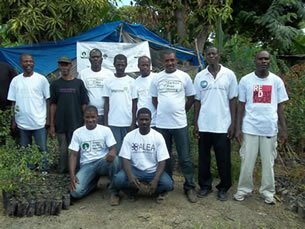 Over a thousand people have now been involved in planting trees in Burundi. The project continues to work towards meeting many of its core aims: reintegrating a post-conflict Burundian society and unifying the Hutu and Tutsi peoples through working together to create a sustainable and peaceful future for all.